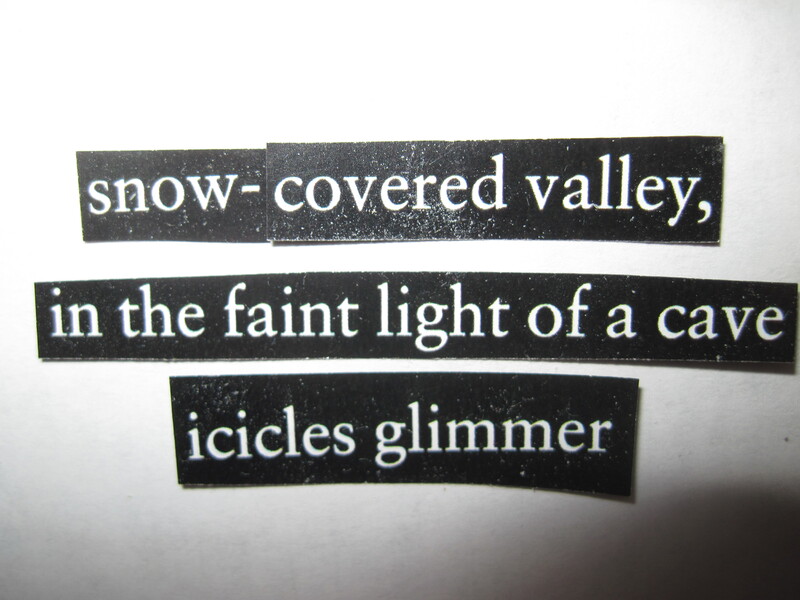 Although I’ve been on the alert for found poems for several years, I am indebted to The Odd Inkwell for the idea of actually slicing and dicing text, then arranging it into poetic form. Because I prefer not to cut up books, I use whatever sources are available. These words came from the current issue of Travel Oregon. 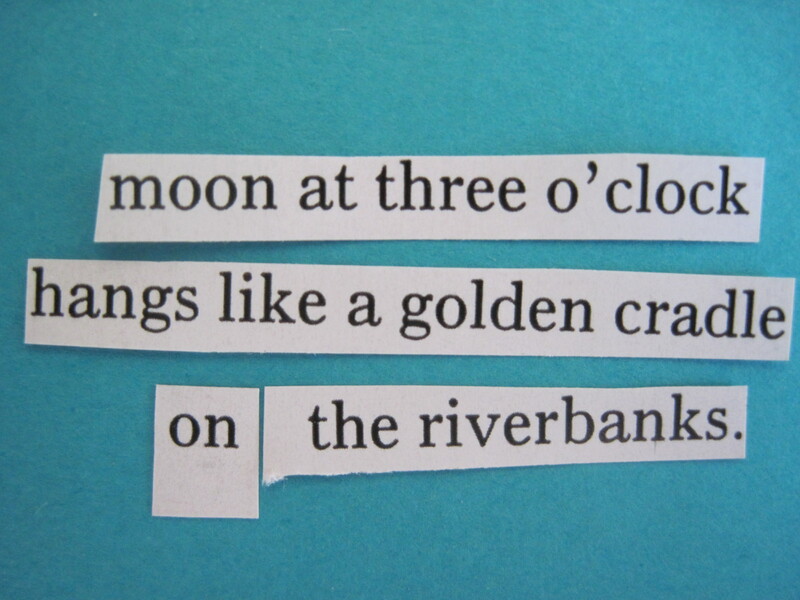 Although I’ve been on the alert for found poems for several years, I am indebted to The Odd Inkwell for the idea of actually slicing and dicing text, then arranging it into poetic form. Because I prefer not to cut up books, I use whatever sources are available. These words came from the July/August 2010 issue of Westways. 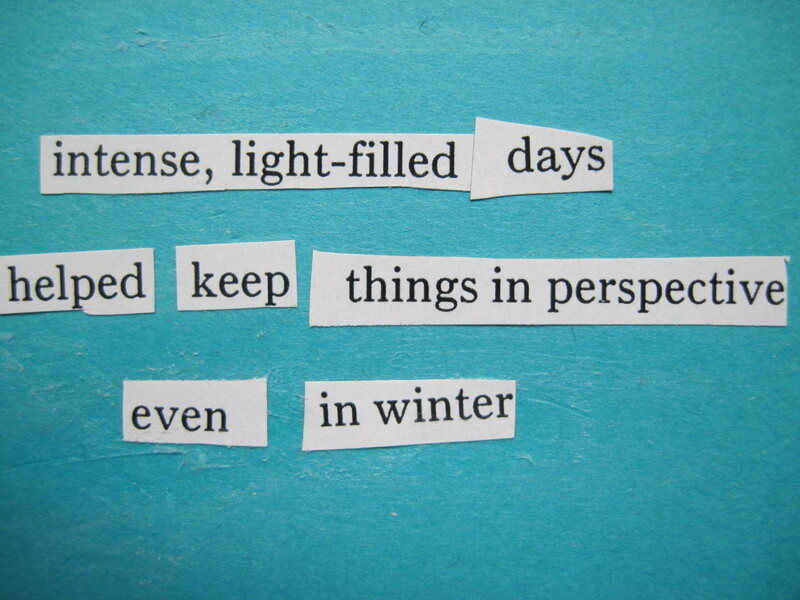 Although I’ve been on the alert for found poems for several years, I am indebted to The Odd Inkwell for the idea of actually slicing and dicing text, then arranging it into poetic form. Because I prefer not to cut up books, I use whatever sources are available. 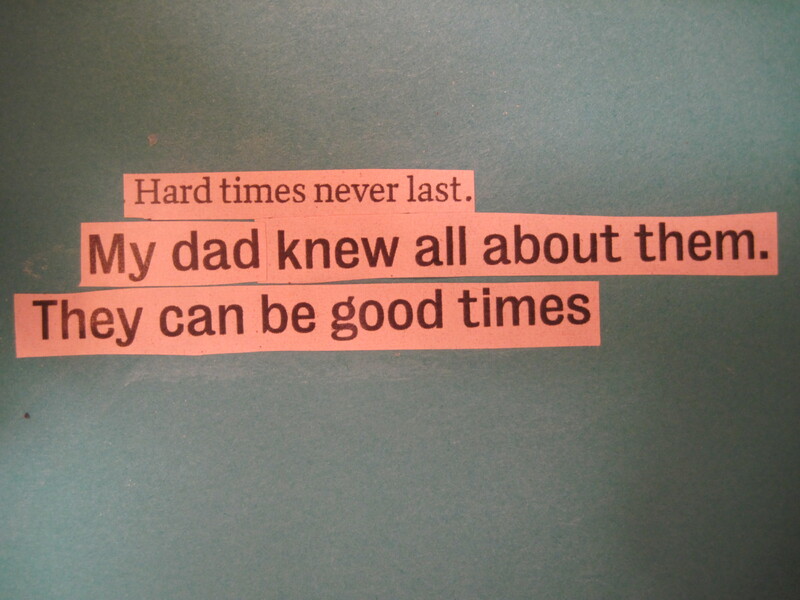 These words came from an old issue of Guideposts. 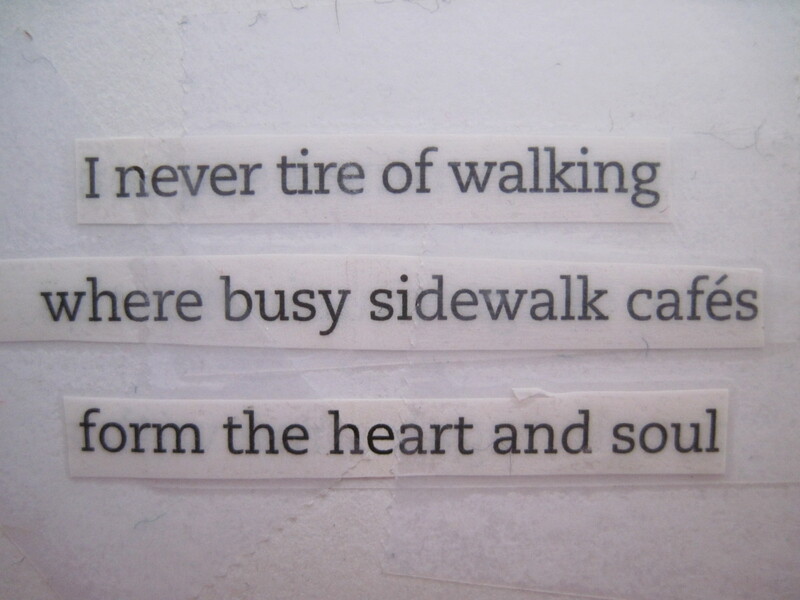 For more Sensational Haiku Wednesday with the theme “Fathers,” click here. 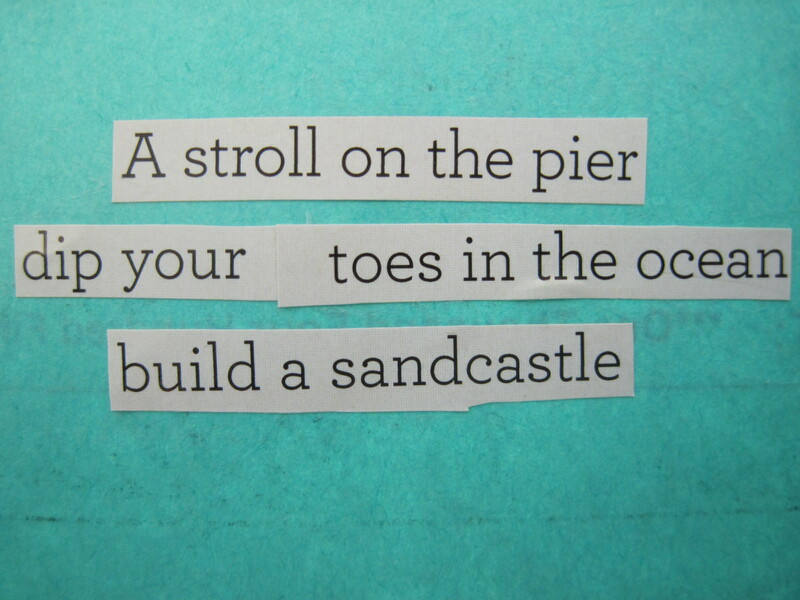 For more Sensational Haiku Wednesday, click here. 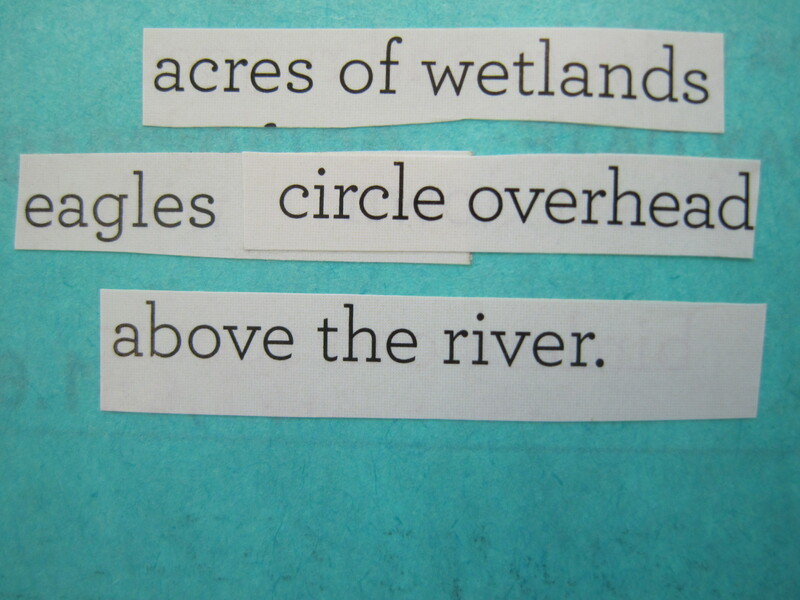 Although I’ve been on the alert for found poems for several years, I am indebted to The Odd Inkwell for the idea of actually slicing and dicing text, then arranging it into poetic form. 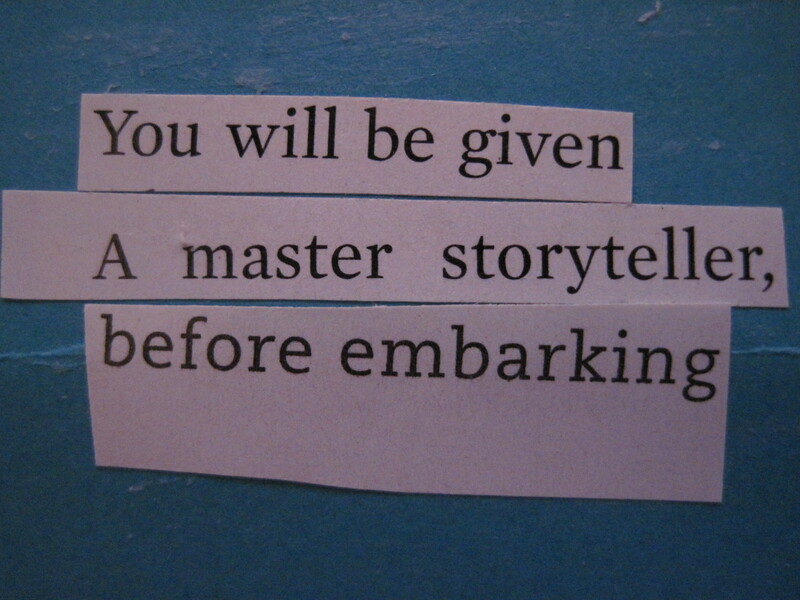 This senryu about a storyteller is one of my first attempts. Because I prefer not to cut up books, I use whatever sources are available. These words came from a catalog.